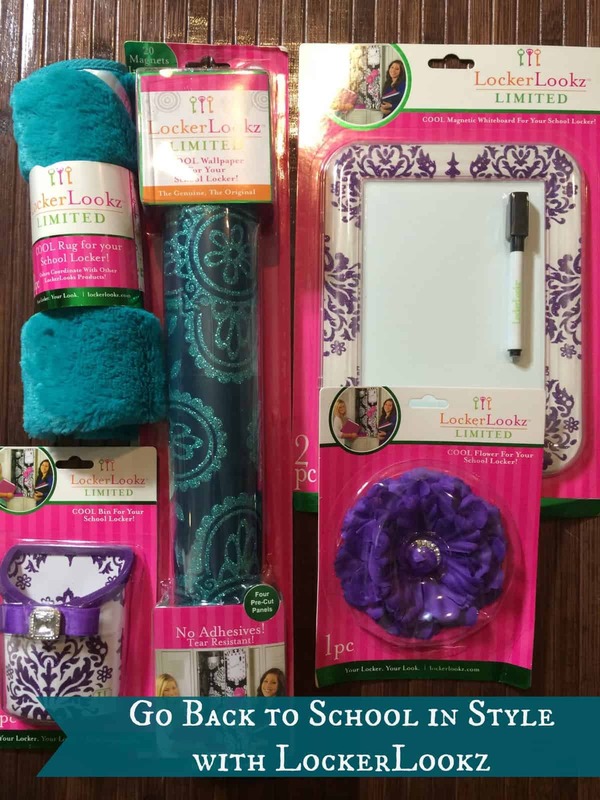 I received promotional items for review from LockerLookz. All opinions are my own. Do you ever look at a product and think, “GENIUS! 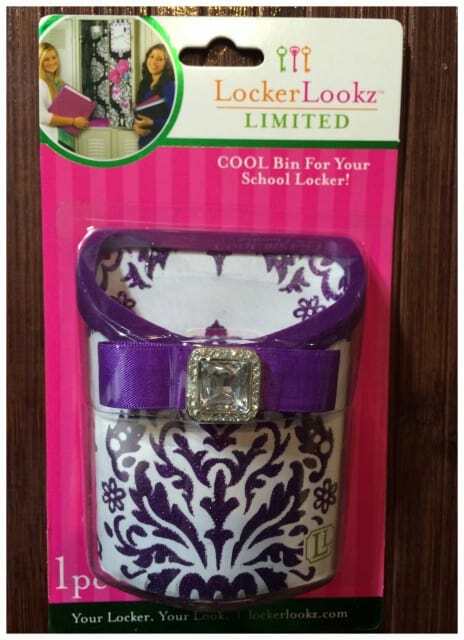 Why didn’t I think of that?” Well that is exactly how I feel about LockerLookz. Seriously, genius. 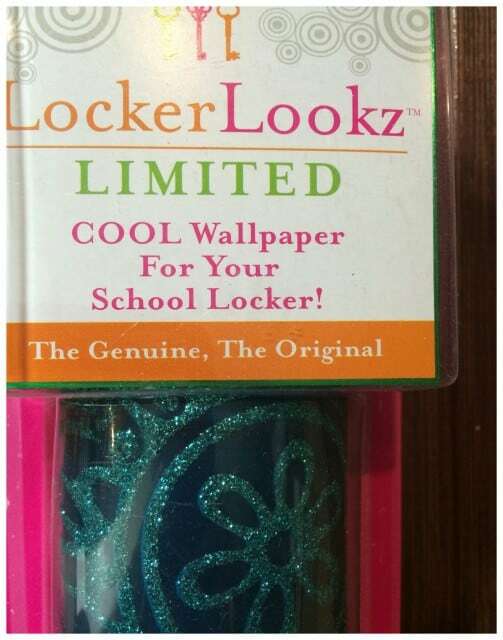 Who wouldn’t want to go back to school in Style with LockerLookz? 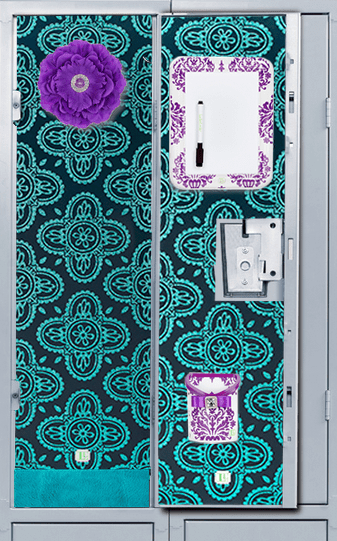 I wish they were around when I was in school because I would have had the CUTEST locker around! With great style and selection there are sure to be adorable styles and designs that your child will LOVE! I loved school. 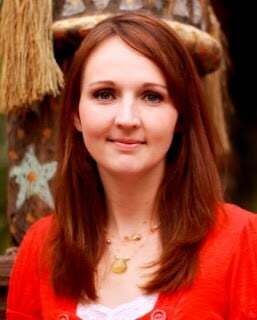 It was a very social thing for me. I love joining clubs, swim team, water polo and student council. I looked forward to going everyday and loved seeing my friends. One thing that I remembered, though, is that I was very nervous to start each new school year. The first day of Junior High and the first day of High School were the scariest for me. As parents, we want our kids to be happy and confident at school but sometimes it is out of our control when they climb on the school bus. One thing that we can do, though, is help them to be ready and prepared with everything they need. Confidence is so important and we can help them feel comfortable and confident when they start their first day at school. My niece is starting her first day of Middle School in about one month. I know that she has all the same nerves and concerns as I did when I was in school. When I found out about LockerLookz I instantly thought about her and knew that having an adorable locker was one way that she could feel excited about her first day of school and gain more confidence. I mean really, what better of a conversation starter! LockerLookz helps you go back to school in style! Locker Bins are affordably priced at just $5.99. They are a great place to store your pens, pencils, erasers, or paper clips. They are so cute with their added bling and come in 12 adorable prints and colors. They hang easily on your locker with three magnets on the back. Are these flowers not so cute! At only $3.99 they make an adorable accessory. 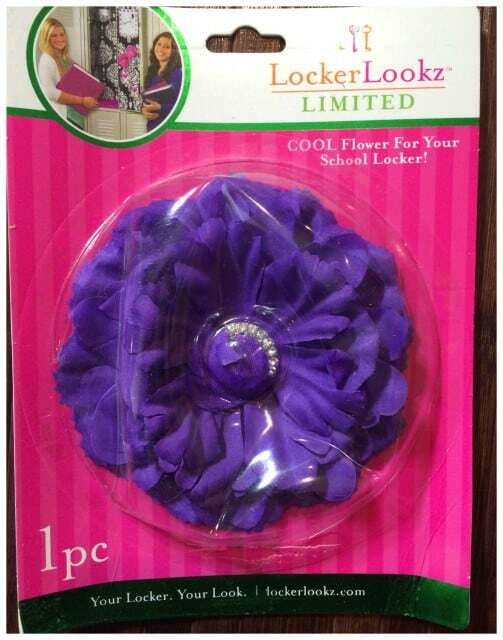 They came in 5 colors that coordinate perfectly with LockerLookz designs. You can mix and match or just choose one! They are 4″ and hang with a magnet. Okay, seriously, this has got to be one of my favorite parts. Why or why couldn’t they have been around when I was in school! 🙂 The Plush Fur Locker Rugs are only $9.99 and are so soft and so cute. You can choose between three solid or two print choices that coordinate perfectly. They have a non-skid backing so they secure to the bottom of the locker. I said it before. Genius. Oh my, I love it all. Sparkly, beautiful Wallpaper. This Wallpaper is so easy to use. It comes with four panels. One door panel, one back panel and two side sheets that include die cut perforations that punch out to accommodate hooks commonly found in school lockers. I just love the bright colors and patters. The wallpaper is available in eight styles. The Acrylic Magnetic White boards are a must have. There are so many things that you need to remember when you are in school, so this is a great way to keep notes. 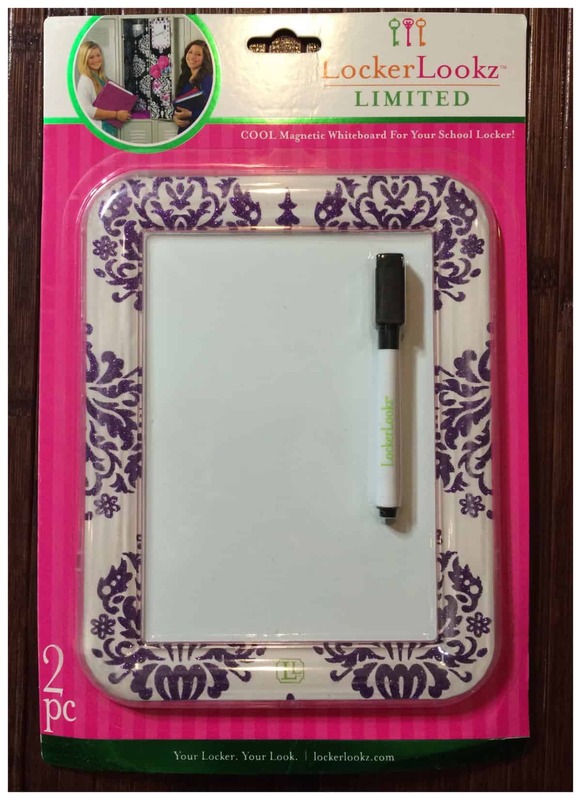 Anything from what books you need to bring home, when you have a test, to what your homework is, you can keep organized with these White boards. They come in six colors and have plenty of room for your to-do lists! 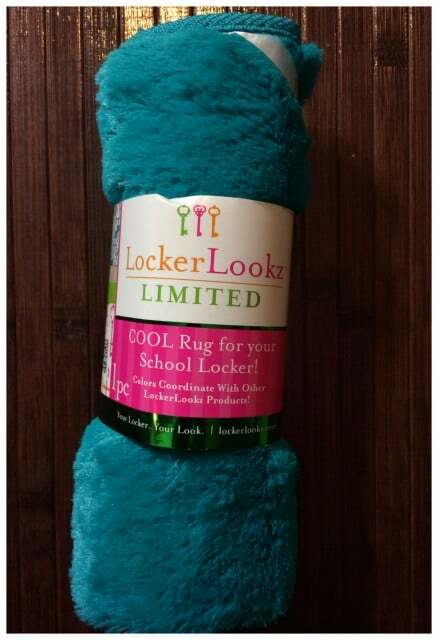 How will your kids Go Back to School in Style? Well, we can help! One lucky reader will win the PERFECT back to school kit including one wallpaper, one rug, and three accessories of their choice!